The Quality of our work improves the Quality of your life. Why flush money down the toilet, especially one you have trouble getting up from? 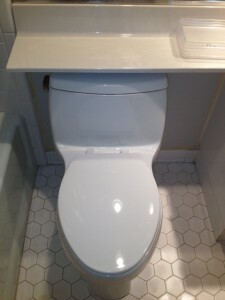 Two advantages to changing out your old toilets are convenience and conservation. Consumers, especially the senior population, have outlived their outdated commodes. Since parts on a toilet can easily be replaced, it’s not unusual to have a commode in your home that dates back to poodle skirts. However, convenience is mandating upgrades. 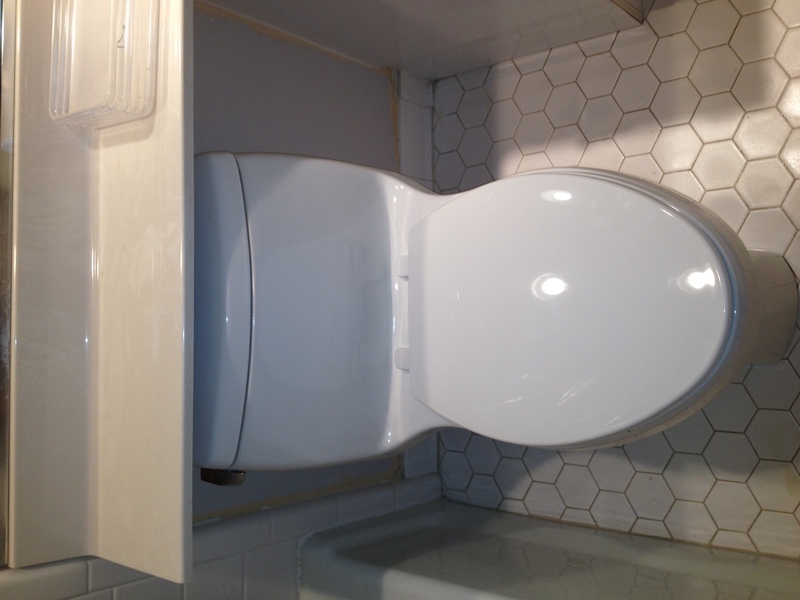 Taller commodes are easier to get on and off, and the older you get, the more you appreciate that convenience. Plus, newer models are more attractive, and they use less water per flush. That’s right, even commodes are green and water conservation helps you and the environment. Although true in the beginning, the rumor about new models not working effectively has worked itself out. Manufacturers made necessary adjustments. These days you save money, conserve water daily, and appreciate efficiency, as well as a better-looking product. If you’re in the market for a tall, green makeover, call SCI – Southern Coast Improvements at 843-421-9255. Ever wonder if it’s by chance that nearly every kitchen featured in a home improvement/interior design magazine pictures the latest model of a brightly colored and very pricey KitchenAid mixer? Wonder if most families bake cookies and fruit pies daily, along with homemade breads, and in the summer, mix a pitcher of freshly squeezed lemonade? Pick sunflowers and daisies from their garden? Stock up on lush towels and down pillows? Buy expensive rugs you’d dare anyone to walk on, much less wipe their feet? Since John didn’t delete the email, the one he initially thought was another appeal to renew our subscription to This Old House, we got a chance to go behind the scenes. The message was an invitation to send additional photos and information like cost, length of time to complete the renovation, and the best and worst parts of taking on a do-it-yourself project. 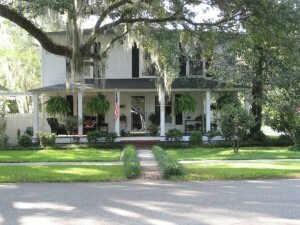 Turns out, our nearly 100-year-old home was being considered for the pages of the magazine This Old House. From start to finish, it took nearly a year till publication. Lots of writing, rewriting and editing the article, questions to fill in blanks, decisions about photo options and captions, and a two-day photo shoot happened during the interim. The process may have lasted even longer but the house went under contract shortly after we got the final word it was to appear in This Old House. Editors hurried to schedule the photo shoot to assure we weren’t packing boxes while the photographer was taking pictures. Oh, what about all those colorful KitchenAid mixers? The photographer’s assistant showed up the day before the photo shoot with a detailed list from the editorial staff and designers noting furniture and decorations that would stay and where. Everything else had to go. The assistant pulled things from any cabinets that had glass doors, rolled up rugs, tucked towels away, cleared the kitchen countertops, took down paintings. She rearranged furniture. After clearing out, she brought in boxes and bags full of rugs, pillows, towels, soap, flowerpots, flowers, kitchen utensils, food and more. She even brought a bolt of material to cover our striped sunroom couch because the designers (based on photographs) preferred a solid color on the furniture. As for the KitchenAid mixer, our outdated white one was set aside in favor of a bright blue one. The next day, we had the option to buy any of the props we liked; otherwise, the assistant returned what she could. Thankfully we were moving or we’d have a bright blue KitchenAid mixer, a green sunroom couch, and no money in the bank from This Old House. Click HERE to check out our former home and one of SCI’s earliest projects. If you’d like your home improved, call SCI – Southern Coast Improvements at 843- 421-9255.